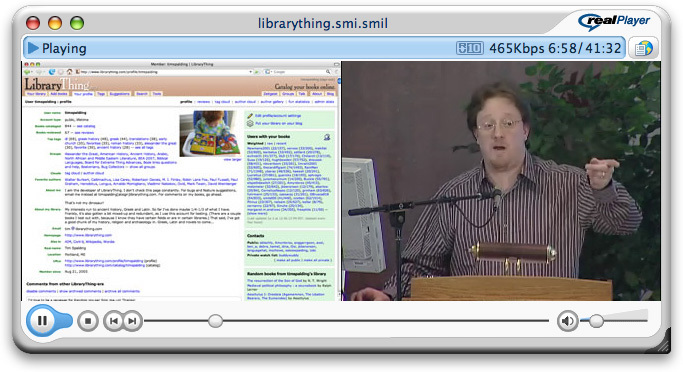 Is LibraryThing making you fat? 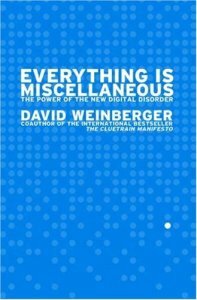 I’ve flogged David Weinberger’s Everything is Miscellaneous before, in blog posts and in my Library of Congress talk. 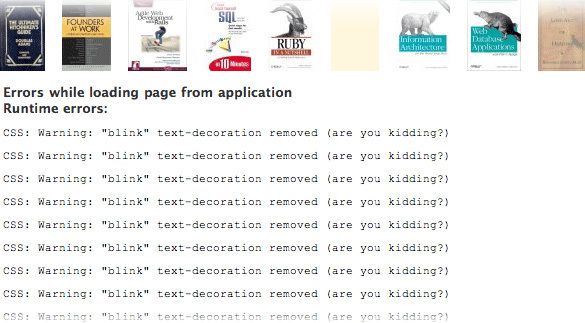 I think it’s something close to the intellectual justification for LibraryThing. Anyway, I flogged the ARC for so long that, when it came out, LibraryThing bought a small box of hardcovers direct from the publisher–to give out at conferences, to thank people for inviting me to talk, and so forth. I still have half a box. So I’m going to open it up to the whole LibraryThing community. We’re going to give out ten copies. We like contests*—we have a Harry Potter book photo and another review contest going—so we’re going to make a contest of it. I’ve created a thread Contest: What does tagging do to knowledge? If you want the book, come there and say a word or two about tagging. It doesn’t need to be a big deal. A few sentences with some examples would be fine. 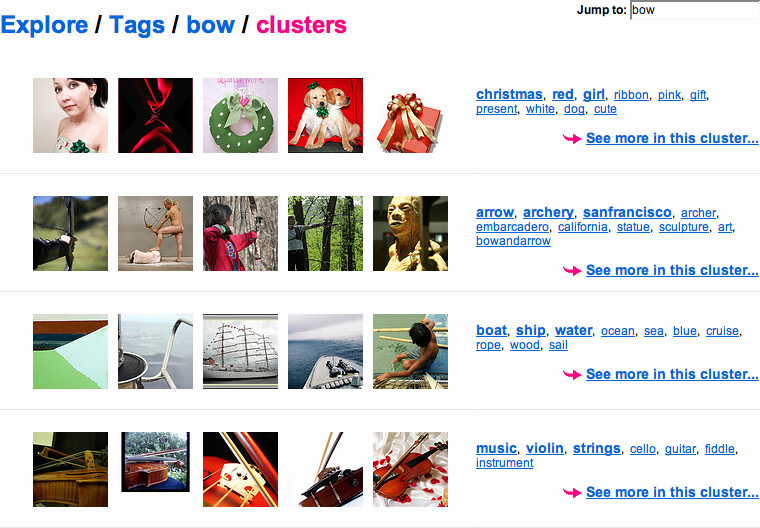 You can talk about tagging on LibraryThing or other sites. You can do personal tagging, global tag pages, the new tagmash feature, David’s talks, my talk, Clay Shirky’s talk, your talk, or whatever. You can say something positive, something negative or just ask an interesting question. You can post as many messages as you want, but you don’t get more chances, duh. *No purchase necessary. Void where prohibited. Also void where discouraged, unseemly or tacky. We pay to mail it. You are responsible for taxes. My taxes. The Library of Congress has just posted a talk I did there back in April, part of the Digital Future and You series. To my regret, it ends abruptly. They didn’t include the 20+ minute Q&A**, which went a lot deeper on some of the interesting issues (particularly tagging), and with the nation’s top library talent! Being asked to talk in front of the LC was a great honor. There aren’t many institutions I hold in higher regard. And it was fun. I got to be myself—PowerPoint-less, off-the-cuff and passionate–and was greeted warmly and given the benefit of the doubt when I pushed the limits. Also, I got to have lunch with some of their top people. It was a blast. *The subtext of that section is that I just had a lunch conversation about open data, and heard more about the whys, wherefores and finances involved. **Apparently they felt that they needed permission from everyone who appears on tape, and that the questions were not well miked. Altay and I have been playing with it. So far, nobody hates books, thank God. Ditto Pandas and life. Altay discovered a soul mate who hates Harry Potter. Then he discovered he was otherwise friendless tonight. *Unsuggester just had a data refresh. Go wild. For those who haven’t seen it yet—The Wall Street Journal published the full text of a debate between Andrew Keen (“Cult of the Amateur“) and David Weinberger (“Everything is Miscellaneous“) on Web 2.0. Available here.